What do Ganges river dolphins, snow leopards in the Himalayas and freshwater fish in the Western Ghats have in common? The first answer that springs to mind is India, but the particular aquatic mammals we have in mind happen to be in Nepal. One common denominator is that all three have benefited from Conservation Leadership Programme (CLP) support in the past. There is a more recent connection, however. 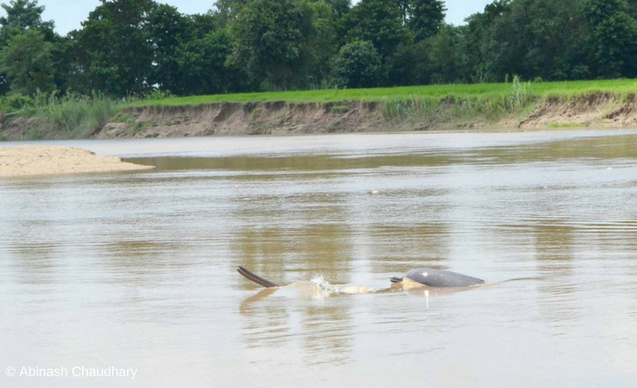 In 2016 team members from each of these three CLP-funded projects were among the collaborators on a scientific paper that they hope will have far-reaching consequences for freshwater ecosystems and, in particular, the fate of Nepal’s river dolphins. The Ganges river dolphin, a subspecies of the South Asian river dolphin, is officially listed as Endangered. Its decline has been attributed to a variety of factors including pollution, hunting, water development activities such as dam construction and irrigation, and accidental entanglement in fishing nets. In Nepal, the entire population of this threatened aquatic mammal is believed to number fewer than 50 individuals, and the Karnali River is one of its last remaining refuges. As this latest paper reveals, recent research indicates that water abstraction for agricultural irrigation purposes has a demonstrable local impact on river dolphins even in freshwater bodies such as the Karnali River that remain free from dams and other infrastructure developments. The latest study found evidence that entanglement in gillnets tends to coincide with periods of significant water abstraction, inviting the conclusion that lowering the river depth makes the dolphins more vulnerable to by-catch. 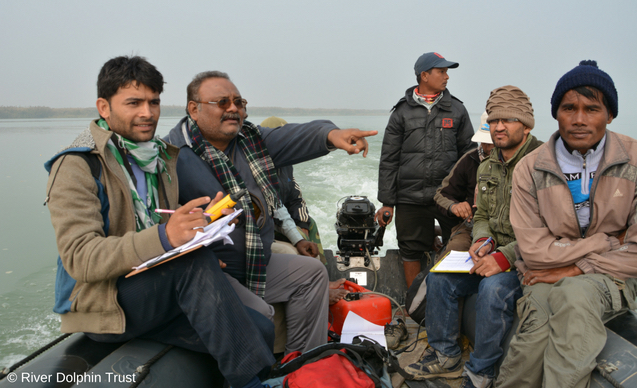 Lead author Gopal Khanal of the River Dolphin Trust was the team leader on the 2013 CLP-funded project, Ecology and conservation of Ganges river dolphin in Karnali, Nepal. Among the other authors who collaborated on the research were Nachiket Kelkar of the IUCN Cetacean Specialist Group, a fellow CLP alumnus who co-led a 2009 CLP-funded project, and Kulbhushansingh (Kullu) Suryawanshi of the Snow Leopard Trust, team leader of a 2015 project. One of the main catalysts for this scientific paper was a learning exchange grant that CLP was able to provide thanks to generous support from the Fondation Segré Conservation Fund. This grant enabled Gopal to visit Kullu and seek advice in person on data analysis and how to prepare a research manuscript for publication in a peer-reviewed journal. 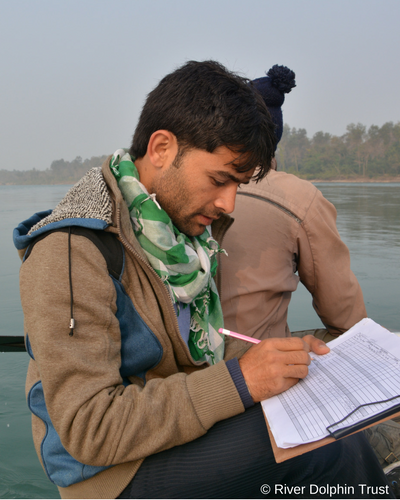 As Kullu points out, their combined experience from different places allowed them to evaluate river dolphin conservation in a new light, “Thanks to CLP, this collective perspective was greater than the sum of our individual experiences”. The key message is that enforcing fishery regulations to halt destructive and unsustainable fishing practices will not, in itself, prevent the continued decline in river dolphins and other aquatic biodiversity in India and Nepal, unless combined with measures to maintain ecological flows. Engaging farming communities in this process, and working with them to ensure that they confine themselves to irrigation methods that do not jeopardise the survival of the dolphins, will be essential to long-term success. 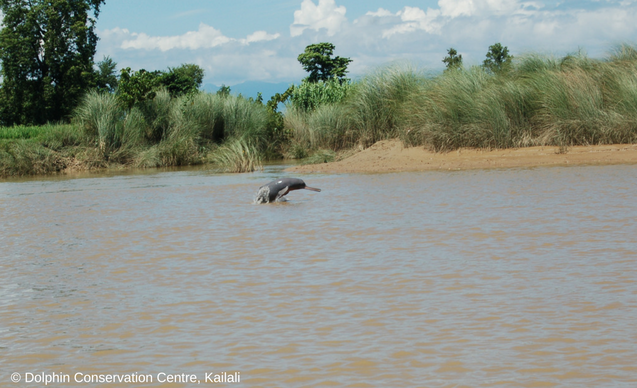 Co-author Nachiket Kelkar added, “This study provides some empirically grounded and interesting insights into the interactions between threats that affect the river dolphins in Nepal. This makes it possible to trace the mechanisms through which river dolphins become endangered, which can, in turn, help effect actions that work at the right scales to mitigate multiple impacts on river flows and dolphins. Currently river dolphin research is largely restricting itself to listing the various threats to their survival, but our study could help in providing a stronger direction in which new questions may be asked and answered by upcoming ecological research."